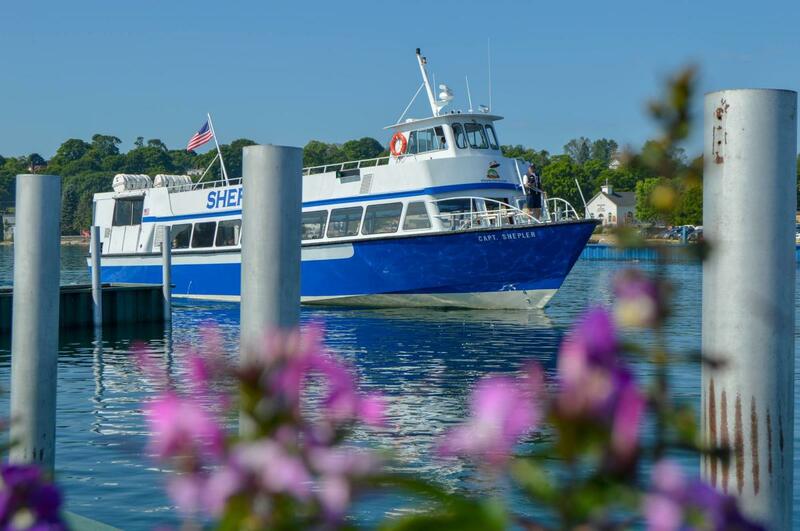 The Shepler’s Mackinac Island Ferry motto is specific and meaningful – give the best possible service with a smile, use modern equipment, and employ a well-trained staff. From the early charter boat days (74 years ago) to today, Shepler’s approach to transporting people to Mackinac Island has been one of class and value. 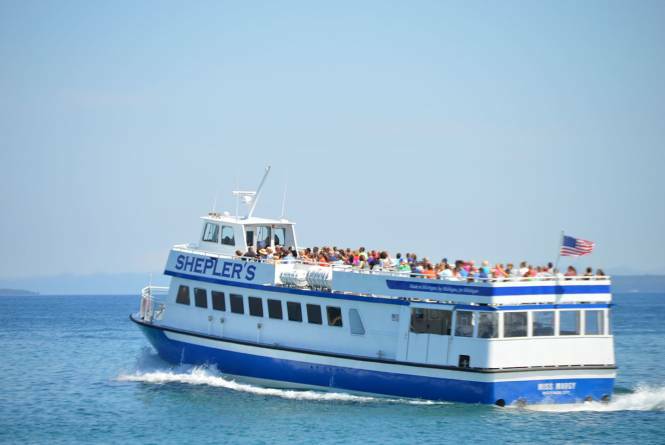 Half the fun of a Mackinac Island experience is a ride with Shepler’s. With the third generation of Sheplers at the helm, the consistent service philosophy continues to this day. First Class Service. Every Guest. Every Day. With the most departures and the fastest ferries on the Straits, Shepler’s will get you to the Island faster so you can enjoy your vacation. Leaving from Mackinaw City and St. Ignace, our single dock locations make us easy to find. Take one of our Mighty Mac departures that go under the bridge on the way to the Island for no extra charge. Check out our schedule for those departure times. If you are visiting Mackinac Island for the day, please park in our FREE day lot at 311 S. Nicolet Street, across from I-75 N, Exit 338, and take the tram to our dock. Do you have a group of 20 or more people? Be sure to take advantage of our group pricing and packages. Call our Group Sales Experts today at 1-800-828-6157. Buy Scan & Go ferry tickets on our website, skip the ticket office, and go straight to the boarding area! Some restrictions apply. We look forward to seeing you on the boat!